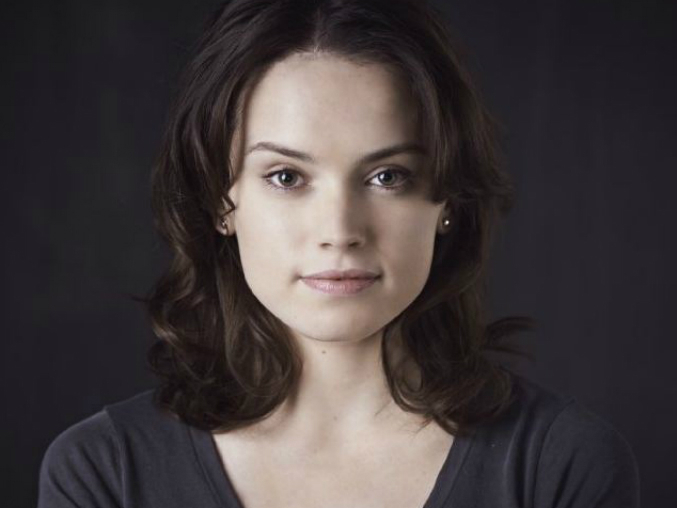 Until the announcement of the cast of the new Star Wars film, I had never heard of actress Daisy Ridley. One of two new female cast members (the other has yet to be cast), she joins in an unknown role that could potentially be that of Han and Leia’s daughter. This is all speculation at this point, because the entire Expanded Universe has become Star Wars Legends, making it essentially an alternate timeline. Personally, I think she looks just a bit like Natalie Portman, and a little like Carrie Fisher as well. If she is playing their daughter, whether her name is Jaina or something new, I think she has the right looks for the part. Early rumors suggested that the new trilogy would feature a female character as the main protagonist. She’d essentially be the Luke Skywalker of this trilogy. That could be cool. Update: December 11, 2014… her character’s name is Rey. Daisy Ridley, 22, is a British actress who has appeared in very small roles, including a short film that was made for a 48-hour film festival, where you have only that amount of time to create a short from scratch. Ridley is a graduate of the £30,000-a-year Tring Park Theatre School in Hertfordshire. Wanna say a big thank you to everyone for congratulating me on landing a role in Star Wars! Still can’t believe what is happening! Daisy Ridley’s sister Kika-Rose, 24, is a model with an agency called Models 1. Her eldest sister Poppy Sophia, 27, is an aspiring musician.